At Jasmin's Jewelry we specialize in designing and hand-crafting one-of-a-kind custom engagement rings and jewelry pieces. Since we buy our diamonds and gemstones directly from importers and manufacture our jewelry in-house, a custom piece we design just for you will almost always cost much less than a finished from other jewelry stores. If you have a vision for the perfect jewelry piece, drop by our shop and we can help you bring it to brilliant reality. 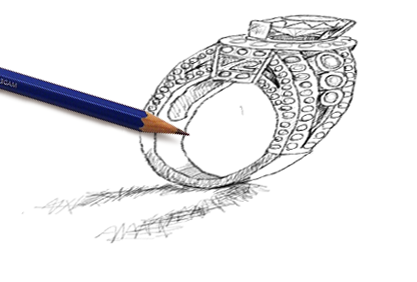 Below we've outlined a few of the steps that go into making a custom jewelry piece. The first thing we do is discuss and capture your vision for the perfect piece. Perhaps you've seen pictures in magazines or websites or have even sketched out your idea, we invite you to bring in you bring these into our shop. With over 35 years of experience in the trade, we can offer expert advise on the engineering of the piece and explain how various elements would impact how comfortable or durable your design might be. Lastly we'll sketch the idea out and finalize the direction for the piece get rendered. 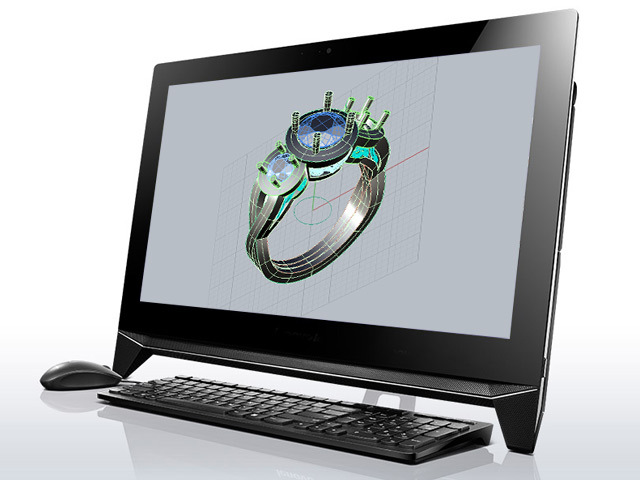 We use the latest in CAD technology to fine tune your piece down the the smallest prong. Decaddes of bench jewelry expertise go into advising our computer artist during the drafting step and before the piece is finished we can now see exactly how heavy it would be in gold or platinum and how many carats of diamonds it would take to complete the design. Once completed we can send you a 3D render of your piece that will help you visualize what it will look like when it's completed. Upon receiving your approval we send the computer file containing the design to a print shop and a 3D wax model of your ring is printed out then cast in the metal of your choice. Once a piece is cast, the next step is to set al of the diamonds or gemstones. Since we buy our diamonds in bulk from direct diamond importers who we've maintained a relationship with for decades, we have access to absolutely brilliant and beautifully matched diamonds, emeralds, sapphires, rubies and more. 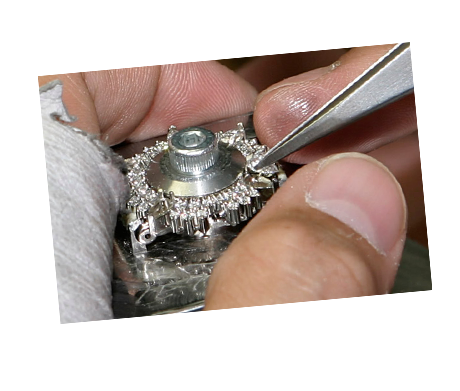 Our diamond setters have over 40 years of experience hand setting diamonds one by one pairing old world tools with cutting edge microscopes. Our polishers meticoulousy buff and shine every corner of the piece making sure that it has a perfecly even gleam and is free from any marks or scratches. The result is a designer quality finish that you won't find with mass produced jewelry. 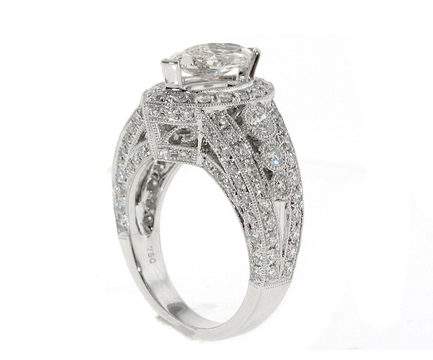 Our standards for finished jewelry are much higher that what is typical in the industry. Once your piece has been set and polished we carefully inspect ever corner under 10X magnification. A well designed and executed piece is one that will be so comfortable you'll hardly notice it on and so durable that it will sparkle for generations to come. Once your piece has passed our rigorous inspection we call you and let your know that your new engagement ring or fine jewelry is ready for you to pick up. Few things are as exciting as seeing your own custom made work of art crafted out of precious metal and stone shine before your eyes!